Free-Image-Galleries.com is sort of a “gallery of galleries.” It’s a WordPress site, in the style of a photo gallery, that rounds-up scripts for displaying photos. The site is fairly new, but there are already three pages of entries. At a glance there appear to be some good gallery solutions in the archives, and the tag cloud is a nice touch too—it seems like a good way to find a gallery solution that fits your needs. If you needed a MooTools-based gallery, for example, all you’d have to do is click said tag in the cloud, and voila, relevant entries. A very nice use of a tagcloud. The biggest shortcoming of the site is the lack of an About page (as of this writing). There’s a link to such page, but all it displays is the default “This is an example of a WordPress page…” text. Oops. I’d either remove the page, or put a short intro to the site on it. Some work needs to be done, but so far it’s a good effort, and an interesting concept. Once again, I’ve been skimming through the design galleries and looking through notes and bookmarks in search of noteworthy designs. This time around, I’ve put together a collection of light designs. While more graphic-heavy designs may look great, simplicity and whitespace can go a long way as well. 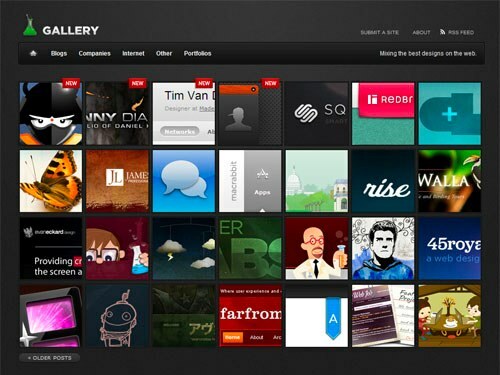 Most design galleries showcase interesting/well-designed/etc web designs. Elements of Design is not like them. Brought to you by the Smiley Cat Web Design Blog, Elements of Design focuses on individual elements of designs. If you do much design, or if you just appreciate good design, the site is worth a look. Tired of the bloated Coppermine Photo Gallery? The much lighter Zenphoto gallery script may be a good alternative. The compressed download is under one megabyte, and the installation looks fairly simple. Just upload via FTP, and run the installation script. The installed gallery is responsive and clean. Don’t take my word for it, though. Look at the demo gallery. The script is fairly new, and is still evolving. 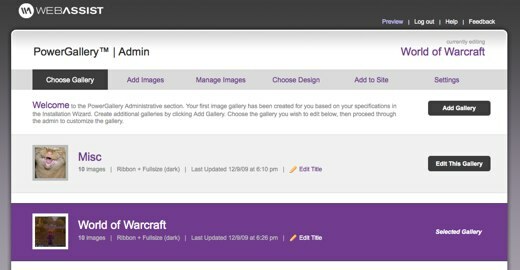 Some features, like RSS support, have just been added. If you need a gallery (for a design portfolio, to show off your photos, etc), then be sure to check-out Zenphoto.